MANFORD'S COMEDY CLUB - FRIDAY 31ST MAY!!! 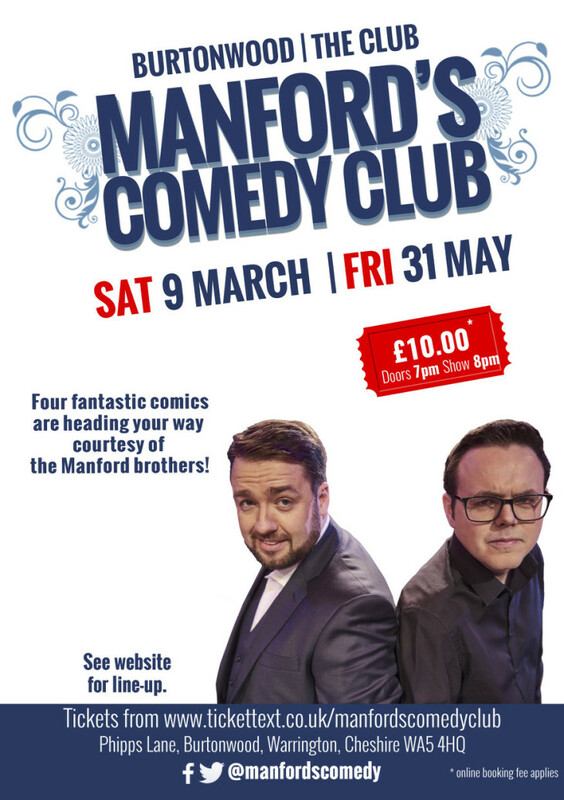 We're absolutely delighted to welcome back Manford's Comedy Club to The Club Burtonwood, providing another brilliant night of live comedy! With 4 brilliant comedians on one night including Daniel Sofoluke, Martin Mor & Scott Bennett, join us for plenty of laughs and good times as this is a night which you can not miss! Tickets soon to be available from behind the bar!